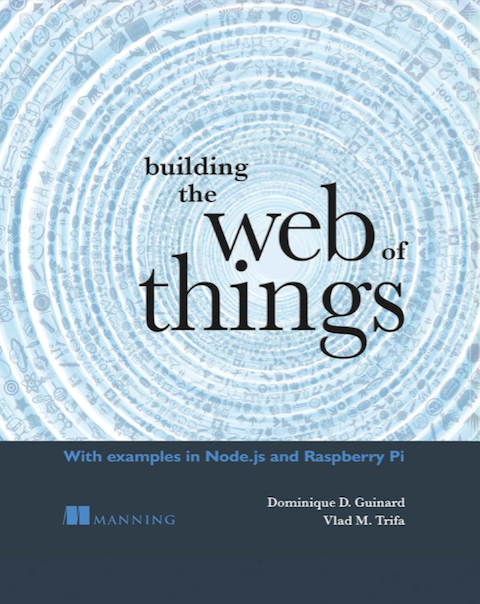 December 1oth, 2014 Vlad and I signed a contract with Manning Publications for a book on the Web of Things, a year and 8 month later, we are thrilled to announce that Building the Web of Things is out! We learned the hard way that writing a book is not as trivial as it seems. “Oh, we’ll just refresh our PhD theses and we’re done in a few weeks” has gradually turned into “OK, well, I guess we’ll have to write these chapters from scratch over the next few months. What about the source code? Which source code? Let’s just rewrite this whole thing in Node.js!” Nevertheless, the many weekends and late nights we spent putting together this book have been a lot of fun and a unique challenge. Distilling all the knowledge we acquired over a decade of IoT R&D into a single book and making sure that book is easy to use has been a tough and very motivating aspiration. Building the Web of Things is a guide to using cutting-edge web technologies to build the IoT. This step-by-step book teaches you how to use web protocols to connect real-world devices to the web, including the Semantic and Social Webs. Along the way you’ll gain vital concepts as you follow instructions for making Web of Things devices. By the end, you’ll have the practical skills you need to implement your own web-connected products and services. Writing this book clearly was the heck of an adventure and we hope you’ll like the book as much as we enjoyed writing it. Yes, it was a lot of hard work and sacrificed weekends but we are proud of the result and hope the book will be a solid ground to learn how to use Web protocols to build the IoT. 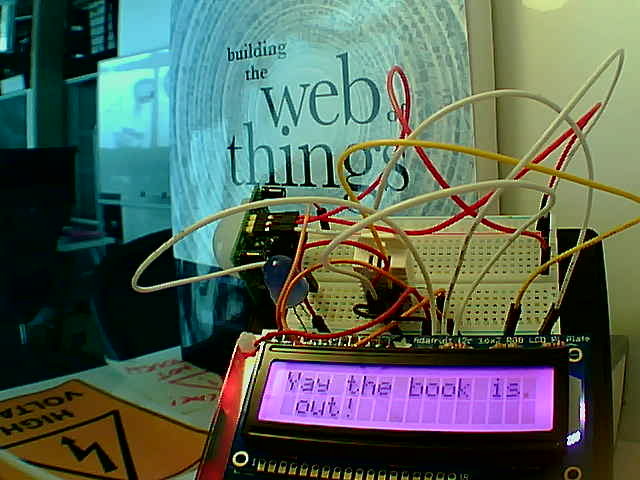 Thanks to everyone who made this book possible, thanks also to you, the readers of Webofthings.org (est. 2007!) and because we like you so much we’ll tell you a secret: use “guid20evry” when buying the book and you’ll get 20% off!